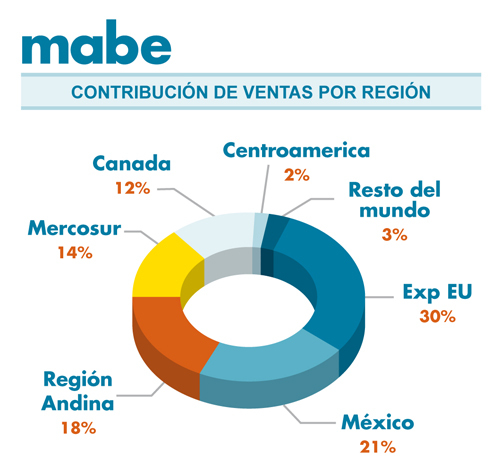 Mabe is one of Mexico’s largest multinational companies (2013 sales: $3.3 billion) with a total workforce of 21,000. The company designs, produces, and distributes domestic appliances (stoves, refrigerators, etc) to more than 70 countries. The company was founded in 1946, in Mexico City, by two Spanish immigrants: Egon Mabardi and Francisco Berrondo. It started by making kitchen furniture but quickly added gas ranges and refrigerators. By 1960, Mabe had already become Mexico’s single largest exporter of home appliances. It continued to expand via an aggressive series of acquisitions, including the purchase of companies in Venezuela, Ecuador, Colombia, Brazil, Peru, Argentina and Canada. To boost its presence in the USA and Canada, in 1986 Mabe created a joint venture with General Electric to produce appliances for the US market. GE held a 48% minority stake in the new venture and hoped to gain access to Mexico’s low cost labor pool, while Mabe was able to use GE’s existing distribution network to gain wider access to markets throughout the USA. Within a decade, two out of every three gas ranges and refrigerators imported into the USA were designed and manufactured by Mabe in Mexico. Almost all (95%) of the ranges and refrigerators sold as General Electric brands were designed in Mabe’s San Luis Potosi plant, the biggest kitchens plant in the world. The implementation of NAFTA in 1994 led to further opportunities for Mabe. Since NAFTA, Mexico has become the leading supplier of household appliances, such as stoves, refrigerators, dryers and washing machines to the USA and Canada. In 2005, Mabe continued its expansion by acquiring Canadian firm Camco. NAFTA also led to the firms competitors, including Whirlpool, Electrolux, Samsung and LG all establishing factories in Mexico. The company, which is still headquartered in Mexico City, is a major purchaser of steel on the North American market, consuming steel worth around $500,000 each year. Its products include microwaves, washing machines and dryers, wine storage systems, air conditioning, motor-compressors, plastic injection and die-casting machinery. It has about 15 manufacturing facilities in Latin America. The company’s factories in Mexico –located in Mexico City, Coahuila, Guanajuato, Nuevo León, Querétaro and San Luis Potosí– account for half its total output. In addition, refrigerators and ranges are manufactured in Colombia; freezers, refrigerators and ranges in Ecuador, and refrigerators, washing machines and ranges in Argentina and Brazil. Mabe’s business practices incorporate a degree of “glocalization” in which the company’s designs are modified to be specific to particular regions, based on the consumer preferences and tastes in each country or region. In 2014, Mabe announced that it was spending $80 million to repatriate its only Canadian plant from Montreal to Ramos Arizpe, Coahuila. 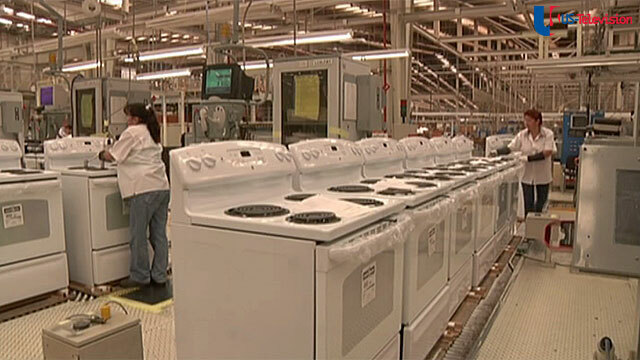 The plant makes washing machines, driers and dishwashers. Together with Mabe’s existing plant in Ramos Arizpe, the two plants have the capacity to turn out about one million washing machines annually. Can someone please contact me about becoming a dealer of mabe appliances in the usa. Dear Sirs.. My name is Ihab Rafla , Chairman of Green Stores company. We are the sole distributors of Elica, Ignis in Egypt, And we represented Whirlpool and Amana for 22 years before.Kindly allow me to express our interest to cooperate with MABE to distribute it in Egypt. Please accept my sincere regards.